Olympic funding brought this mini-gym to Charlton Park. Could a ward budget back more sports or play equipment to our parks? Greenwich Council’s cabinet is set to back a proposal to give local councillors small budgets for improvements and projects in their areas. Each of Greenwich’s 17 wards will be allocated £30,000 next month, which will go on projects that will have “a positive impact” on the area. This means that Charlton ward councillors Allan MacCarthy, Gary Parker and Miranda Williams will be able to have a direct input into improvements in the area. The areas of SE7 outside Charlton ward will be covered by budgets for their own wards: Peninsula, Kidbrooke with Hornfair and Woolwich Riverside. The proposal goes to Greenwich Council’s cabinet next Wednesday. Lewisham Council has run a ward budget scheme for some years now, although this has been largely decided by regular public meetings rather than directly by councillors. In Lewisham, each local assembly gets £12,500 each year, with councillors deciding on a further £2,500. One thing that is apparent is that the money could end up going on basic things the council arguably should have funded anyway, either directly or through funding from developers – patching up grotty street furniture, for example, rather than signs explaining the history of the area (as you’ll see in Lewisham’s Lee Green ward). So what would you spend the money on? Remember, this is about improving the community, not your house price. Could this go towards cleaning up and doing something with the summer house? Or towards smartening up the area from the station up Charlton Church Lane? Bringing extra sports or play equipment to parks? Or is there a community project that could do with a hand? Genius idea. Why didn’t anybody think of it before? Pleeeease can we do something about the state of the first bit of Floyd Road? My ‘dream’ would be diagonal parking on one side of the road, interspersed every three spaces with an island that contained a small tree in a big planter, and wheelie-bin park. Then have double yellows on the other side so cars can still drive up and down. Surely that wouldn’t cost much more than £30,000? Bicycle lane linking The Village with the Riverside thus reducing traveling times to/ from North Greenwich in 15 min. Massive improvement in health and well-being. Refurbishing the old toilets (Summer House) making it a pop-up venue. Refurbishing the pedestrian street that links Charlton Church Lane with Elliscombe Road. Linking Charlton Park with Horn Fair Park. They are next to each other but there is no direct access, which seems a bit odd. Some decent signage would be good; as far as I can tell there’s nothing near the station or in the village to point people to the sports facilities in Hornfair Park (for example). Proper pedestrian crossings over Eastcombe Ave and Wyndcliff Rd where they meet Bramshot Ave would make life easier (particularly as the mornings get darker and the 20 mph zone gets ignored). How about a contribution to Blackheath fireworks? Then again, all of the above count as things the council should be doing anyway. It’d be interesting to know what’s worked in Lewisham wards (and maybe more importantly, what’s not). I look forward to finding out more about how the councillors intend to make this process work. Hi Neil – In my book the council should pay a contribution to the Blackheath Fireworks, but not our little ward which isn’t even nextdoor. Chucking in my two-penneth, I’d go with previous suggestions of a ‘Welcome to Charlton’ sign(s) marking out the village, or perhaps something like the New Eltham village sign I saw at weekend (https://pbs.twimg.com/media/CLu1r1nW8AAc5ni.jpg). I’d also be keen to see more traffic calming measures, such as ‘You are travelling x speed’ signs but suspect they’d swallow a 30K budget pretty quick. Would also be good to clean up the jumble of signs and barriers outside the station (and elsewhere). And talking of artwork, I often think that massive wall as you turn into Flloyd Road is a missed opportunity. The obvious idea is a CAFC mural but clearly CAFC should pay for that, not us. But could crowdsource alternate ideas. Like Neil I’m keen to see what sort of consultation process the councillors have in mind. 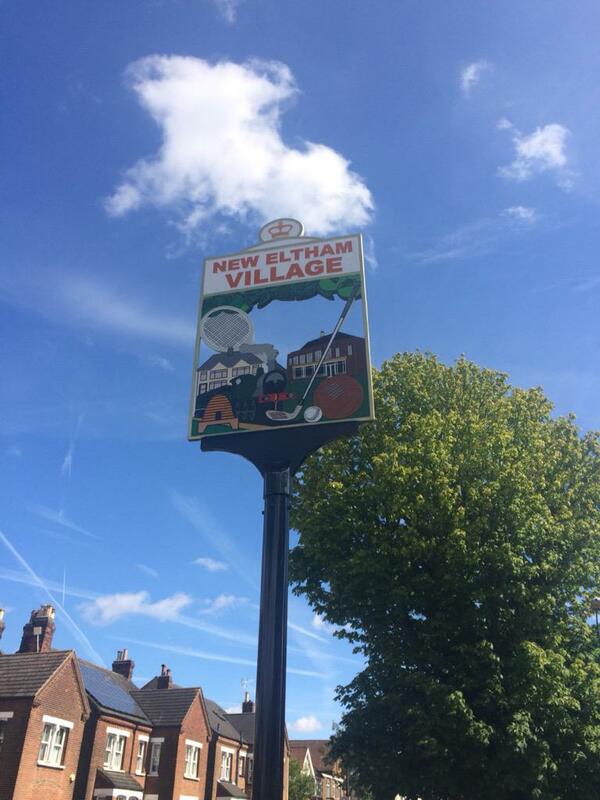 I agree with Paul C….. with the addition of signs pointing people to the parking areas in the village. I agree about the signage outside Charlton Station but surely British Rail should be approached about this as they are sited on their property. We have a wonderful tourist attraction right in our midst, Charlton House, but only local people seem to know it exists. Charlton badly needs re-generating and we need to put this beautiful historic building and Charlton Village on the tourist map. . As Charlton House is now part of the Royal Greenwich Heritage Trust perhaps they will market this wonderful Jacobean House as a tourist attraction, that will promote more visitors to the area, A sign outside Charlton Station directing people to Charlton House would not go amiss. In my mind good contenders for a share of the money would be the volunteers of Charlton Community Gardens. They have done such a wonderful job of brightening up the station area. I am sure some money wouldn’t go amiss to help with new projects, equipment or seeds. Finally, bring back the flower boxes that were outside the station during the 2010 Olympics. Greenwich, Woolwich and Eltham still have them, but Charlton seems to have been forgotten about. They would not only brighten up the day of residents but also the hundreds of visitors who pass through Charlton Station on their way to the 02. . There is actually a sign for Charlton House outside the station, put up by the council. It’s not exactly easy to find, though. Street decluttering, a Floyd Road mural, and a pedestrian/bike friendly route to the river would all get my vote. Does anyone know the procedure for local communities to apply for some of the funding? No response from the the ward councillors. Sally – you are just one of many people waiting for a reply from our invisible ward councillors. Some general points – the scheme isn’t open yet, so I imagine there isn’t yet a procedure. You don’t need this scheme to bid for transport improvements (I suspect the £30,000 wouldn’t go very far on the cycle lane) – boroughs can get TfL funding for this kind of thing through Local Implementation Plans. Typically, in Greenwich this cash has gone to big town centre schemes – it paid for the new square in Woolwich, and will pay for coming schemes in Eltham and Greenwich. But there’s nothing stopping Greenwich from asking TfL for cash to improve pedestrian signage or install a new cycle lane. Love the idea of (another) Floyd Road mural. I really do. Can’t abide the thought of a village sign, though. I noticed Cllr Cherry Parker asking for suggestions via Twitter over the weekend, for what the 30k in her ward could be spent on. I asked what the procedure was generally and her reply was: “It’s been left to cllrs to decide how best to engage + support communities in their areas”. Does anyone have any update on this? I emailed our local cllrs in January and got an answer from Cllr Parker, saying ‘all in hand and we will be launching the ward budgets locally once we have clarified some management and administration issues’. I replied back asking if there were any more details and got no reply. I’ve since discovered that Cllr Parker has already briefed the CCRA on the scheme! Fair play to the CCRA for managing to get an update, but any idea when the rest of us poor schlubs get any info?